Pollard Theatre Company transforms a holiday classic into a radio drama for the stage. It’s a Wonderful Life: A Live Radio Play, runs Nov. 23-Dec. 23 at The Pollard Theatre in Guthrie. Guthrie’s Pollard Theatre Company has been staging A Territorial Christmas Carol for 30 years, but this year, artistic director W. Jerome Stevenson said the company just couldn’t do it. There was what Stevenson described as an “inherent sadness” in the idea of returning to the play after James Ong, a founding member of the company who defined the role of Ebenezer Scrooge in nearly two decades of performances, died in February. 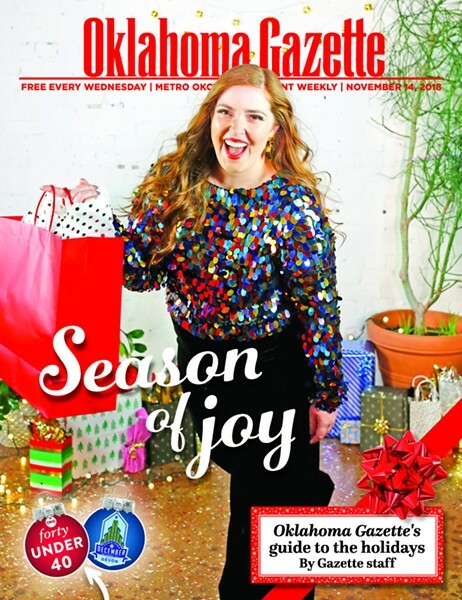 Ultimately, Stevenson settled on replacing Pollard’s Carol, an adaptation of the Charles Dickens classic set on the Oklahoma frontier after the Land Run of 1889, with another high-concept take on a holiday staple. It’s a Wonderful Life: A Live Radio Play, runs Nov. 23-Dec. 23 at The Pollard Theatre, 120 W. Harrison Ave., in Guthrie. The play, written by Joe Landry, reimagines the 1946 Frank Capra film as a production for the radio. While Dickens’ work is heavily associated with 19th-century England, It’s a Wonderful Life, based on a short story Civil War historian Philip Van Doren Stern sent out as a Christmas card in 1943, tells an all-American story. In the film, deeply depressed George Bailey (Jimmy Stewart) is contemplating suicide to end his financial and personal problems until Clarence (Henry Travers) shows him how much worse off his friends and family would be had he never existed. Recreating a familiar film classic with an all-star cast from Hollywood’s golden age is a challenge for a stage production. 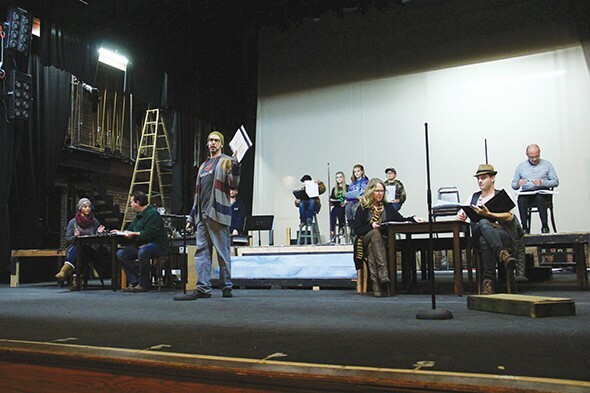 By adapting the story to a recreation of a live-in studio radio broadcast, the play conveys the meaning without requiring extensive sets while maintaining the spirit of the slower-paced time period of the film. Adopting a radio-age mindset hasn’t been easy for Stevenson and the cast of actors who grew up in the TV and internet era. Conveying the concept of a live radio broadcast to the child actors in the play is especially difficult and requires Stevenson to adapt his directing technique. Tickets are $15-$30. Visit thepollard.org.